Continuing a rollout of reissues from its acquisition of legendary roots-reggae label Nighthawk Records, Omnivore Recordings will release Winston Jarrett & the Righteous Flames’ Jonestown, and Ronnie Davis and Idren’s Come Straight. Street date for both titles is August 3, 2018. Winston Jarrett was born in Lime Tree Gardens in the Jamaican parish of Saint Ann, in 1940. At age five, he moved with his mother into the Jonestown section of the island’s capital city, Kingston, next to the notorious ghetto of Trench Town. Winston lived on Fourth Street in a tenement yard shared by locally famous vocalist Alton Ellis, who had recorded several hits for leading local record producer and Sound System owner Clement Dodd (Sir Coxsone). Alton recruited Winston Jarrett and Eggar Gordon (Baby Gee) in 1965 to form a new harmony group, Alton & the Flames. They auditioned at Duke Reid’s Treasure Isle Studio and won the enthusiastic endorsement of Leroy “Cuttings” Cole, Reid’s number one selector for his popular Sound System dances. They were soon recording a series of classic foundation rock-steady anthems, and went on to score an astonishing number of chart hits. By the middle of 1967, Alton began recording as a soloist. Winston and Eggar decided to reform the group as the Righteous Flames, with Winston singing lead. They recorded for Prince Buster’s Olive Blossom imprint and worked with Sir Coxsone, cutting classic sides like “Ease Up,” “You Don’t Know,” and “Born To Be Loved.” Jarrett continued to work for Coxsone throughout the 1970s. 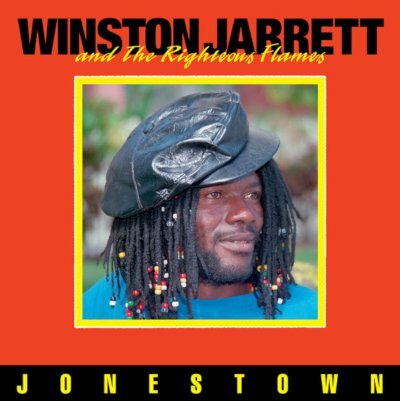 In addition to cutting dozens of solo recordings, Winston sang harmony on hits by Ken Boothe, Marcia Griffiths, and Winston Francis. He also cut material with Enid Cumberland and Larry Marshall that was credited to the Freedom Singers. Winston did not confine his talents to Coxsone’s Studio One label during the 1970s; he also recorded a large body of work for other producers (Duke Reid, Lee Perry, Joe Gibbs, Jah Lloyd, the Buzza Record Shack, Pete Weston, Ted Powder, Brent Clarke, Roy Cousins and Tony Shabazz) using his own name or a number of pseudonyms. Jarrett met Nighthawk’s Leroy Jody Pierson around 1983 at Aquarius Studio in Kingston, where Pierson was working on the mix of Justin Hinds’ Travel With Love album. Says Pierson, “Justin tapped me on the shoulder and said, ‘See that likkle man deh? ’Im is one of the original Alton and the Flames. ’Im is a very great singer.’” With Baby Gee still living in Western Kingston, they decided right then to begin work on a new re-formed Righteous Flames album to be called Jonestown. This classic is being reissued for the first time in nearly 30 years, newly remastered from the original tapes with liner notes from Pierson and featuring previously unseen photos. Ronnie Davis was born in Savanna-La-Mar in Jamaica’s Westmoreland Parish in 1950. He began his professional career as a musician in 1967 when he was recruited to join the Tennors, a vocal group that had already scored a big hit with “Pressure and the Slide” for Studio One. The group scored another massive hit in 1968 with “Ride Your Donkey”; more hits followed in 1973, when Ronnie led the group on “Weather Report” for Duke Reid’s Treasure Isle label and “Take Heed” for Bunny Lee. Both records sold well, and with encouragement from Lee, Ronnie left the group to pursue a solo career. During the mid-’70s Ronnie was among the most prolific of Jamaica’s vocalists, recording more than 100 titles for a variety of labels and producers including a large body of work for Lee. By the late ’70s Davis was producing his own work for release on his own On Top label while continuing to work for other producers. He bonded with producer Lloyd Campbell, who released some of Davis’ best work on the Spider Man label, including “Won’t You Come Home,” which became a minor hit due in part to the superb rhythm track from the Revolutionaires. Ronnie loved this record, and soon returned to Campbell with Keith Porter, a friend from Savanna-La-Mar who had written a new song for the rhythm track.Together they cut “In A Dis A Time,” with Keith leading the fierce Rastafarian classic with sweet harmony from Ronnie. The song, credited to the Itals, became a massive local hit. They added a third singer, Lloyd Ricketts, and Campbell continued recording. In late 1979, Pierson and Nighthawk colleague Robert Schoenfeld sought out the Itals and after tracking them down, they all found themselves gathered at Aquarius Studio listening to superb Spider Man cuts by the group. A few days later, Porter, Ricketts and Davis auditioned songs for their very first album, Brutal Out Deh, and the group was signed to a five-year contract. Robert Palmer wrote a rave review published in the weekend edition of The New York Times, and sales exploded. The Itals became one of the most successful touring reggae acts in the U.S. Their third album, Rasta Philosophy,was among the five final nominations for the 1987 Best Reggae Album Grammy® award. In the 1980s when the group splintered, Ronnie felt that he should create his own vocal group. 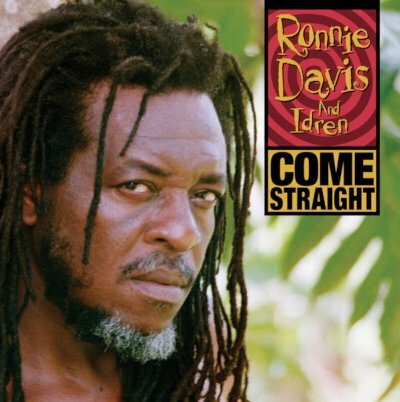 He had never stopped recording as a solo artist and with the aid of long-established Savanna- La-Mar vocalists Ricketts, Roy Smith and Robert Doctor, he recorded a new album, Come Straight, released in 1996 credited to Ronnie Davis and Idren. Now remastered, with two bonus tracks, new liners from Pierson and previously unseen photos, this acclaimed album has never sounded better.